Which name are you looking for? Listen to the preview before you add the song to your cart. A personal lullaby for Ashley! This is a special and personal song for Ashley. Will your little one fall asleep tonight with a personalized nighttime song…? 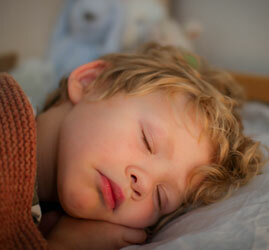 Establishing a bedtime ritual is all about creating the safe and loving environment for a child. A predictable pattern helps children prepare for bedtime. Singing a lullaby together can be a part of the ritual and supports your kid with the transition from day to night. And say for yourself: isn’t it fun to sing a special song that’s about you? This is a great way to lull your little one to sleep. This lullaby Tomorrow there will be another day also makes a great gift for any baby shower. Nothing says I care about you more than a unique and original gift, you simply can’t go wrong with a custom lullaby. 25% discount when you order two or more songs! Listen to the preview to make sure the pronunciation of the name is correct. If it is not the way you want it or would like a different name that’s not on our website yet, please don’t hesitate to contact us! Didn’t find the name you were looking for? You can request any name! … Australians spend on average at least $80 on baby shower gifts?